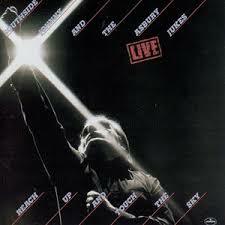 I never saw Southside Johnny and the Asbury Jukes in concert, but I always heard that’s where they shined. And so far, this album is a good representation of that. I don’t have any attachment to the group. They were Springsteen contemporaries and New Jersey pals, and I especially like the Springsteen songs they do like “Talk to Me,” “Hearts of Stone” and “Trapped Again,” all of which I just heard. They certainly were a peppy band and the workout was good, but not Ram-worthy. But, we’ll see what happens with the second record. I debated writing anything about the Academy Awards, but I’m going to, so if you don’t want to follow along, I mind not a bit if you choose to leave now and come back another time. I confess that my favorite part of the Academy Awards is the roll call of the dead, and the last two years’ presentations of it had annoyed me with the interfering singing of James Taylor and Queen Latifah, both of whom I like just fine. However, I just want to see the names and faces, and maybe a small clip of those we lost in the past Oscar year. But James and Queen are not there for us roll call purists, they’re there to entertain those who are disinterested, for whatever reason. To them I say, it’s a good time for a bathroom break, and take James and Queen with you. So, I was pleasantly surprised that they changed it back and had the song after the presentation ended, when our own Bette Midler came out and sang “Wind Beneath My Wings.” Yeah, I think it’s sappy too, but it’s also kind of catchy. I thought the last photo shown would be an icon like Peter O’Toole or Shirley Temple, but I guess Philip Seymour Hoffman is more dramatic. I won’t go on too much more, or even mention John Travolta’s gaffe, because it was the most congenial Oscar show I think I’ve ever seen. And I’ve seen a lot. There were a lot of good movies this year, and while my favorite movie of 2013, Lake Bell’s In A World (highly recommended, clever, funny movie), was barely recognized by the Indie Spirit Awards, much less the Oscars, I liked all the movies I saw and the performances. I had no problem with the winners, but I would have been thrilled if American Hustle had swept the awards, and would have griped if Leonardo DiCaprio had won. I just find him irksome.